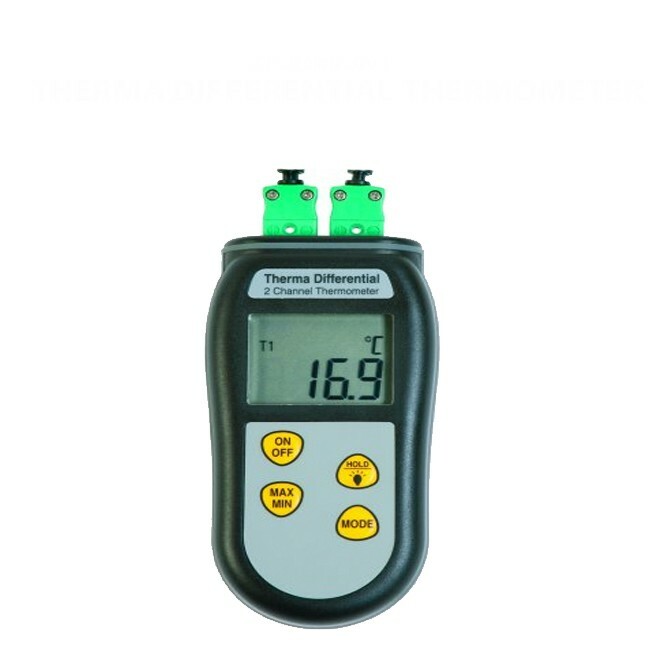 Therma Differential Thermometer two channel, T1 or T2 or T1 minus T2 differential (Probe in images not included, please pick from the wide Labfacility range of probes to suit this product). 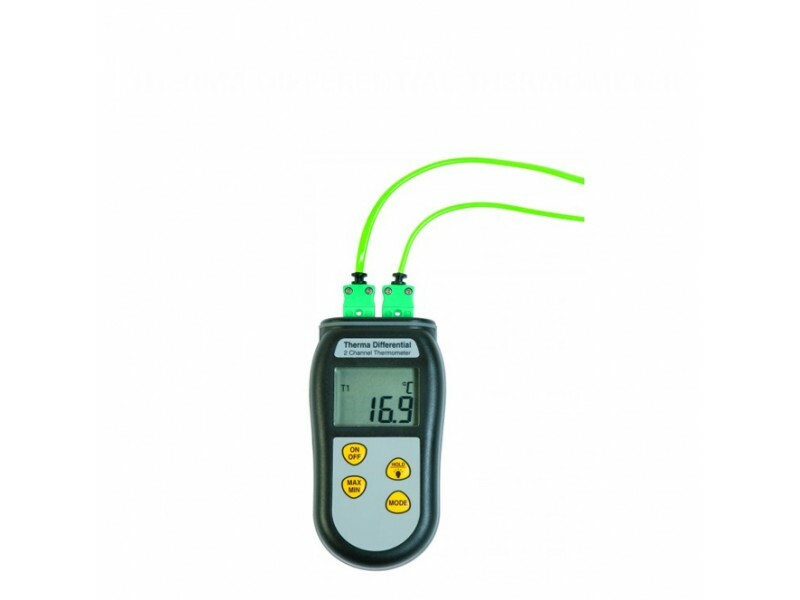 The Therma Differential digital thermometer allows the user to use two type K thermocouple probes simultaneously. 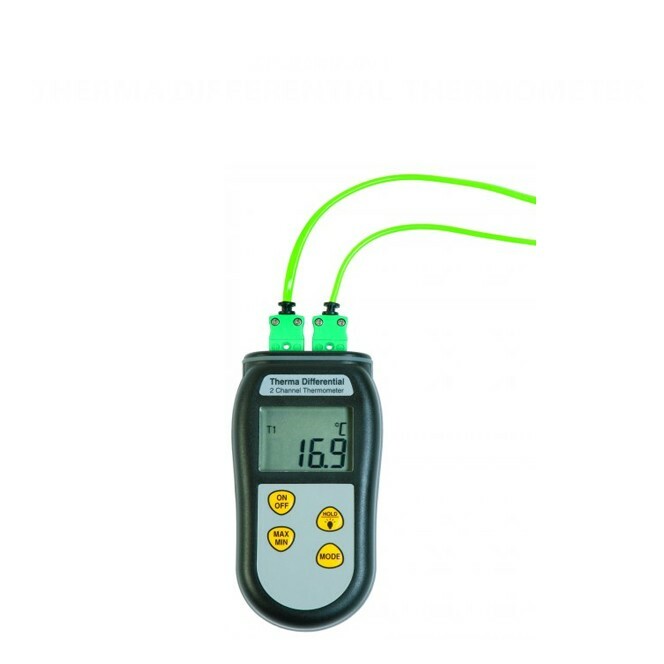 The display can be switched to show probe T1 or T2 temperature or the difference between probes T1 and T2 (T1-T2). This allows, for example, the temperature drop across radiators or the temperature rise or fall of two items to be measured. 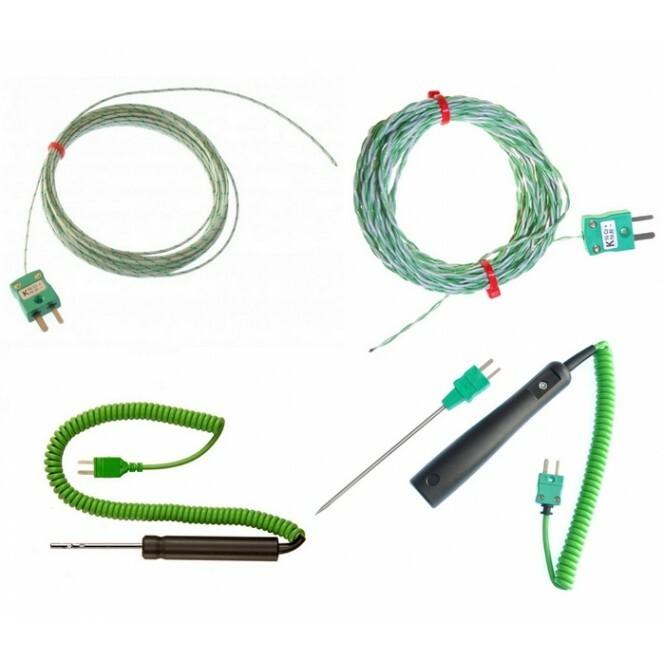 Optional Hand-Held Temperature Sensors for use with this device are available from the dropdown menu - 26 probes available, select you Type K probe style, length and diameter.